We use parallel compression on drums. We use it on vocals. We use it on really anything and everything. So why not on the whole mix? This is one of those processes that when done right works really well, and when done wrong sounds like crap. The pros are that you can get a little bit of extra thickness, movement and color in a fairly transparent way. The con is that it can be hard to tell if you are improving the sound or just making it louder. Set incorrectly you can “overfluff” the mix and lose punch. It generally helps to have the compressor react to the kick appropriately to its perceived volume, which is significantly less than its actual amplitude. Try a compressor with an EQ’able sidechain and take out some of that low end. Set the attack time so that it’s fast, but not so fast that you are completely dulling the transients of the compressed signal. You still want a little bit of attack on the parallel signal so that you don’t start dulling the mix as you blend it back in. Time the release so that there’s still a bit of space/air in the parallel signal. You don’t want your mix losing it’s openness for the sake of thickness. If you can time the release just right you’ll get a perfect blend of open and thick. Experiment with different compressors. Individual compressors will handle this process differently. It’s important to experiment with different compressors to get a sense of what you like. Don’t be afraid to turn it off. Sometimes you get to the end of a mix and it’s perfect without compression. That’s OK — there’s no need to force a process if it doesn’t really need it. As they say, there are no rules when it comes to music. So rock on with experimenting, and comment below with your favorite compressors for a parallel mix buss chain! 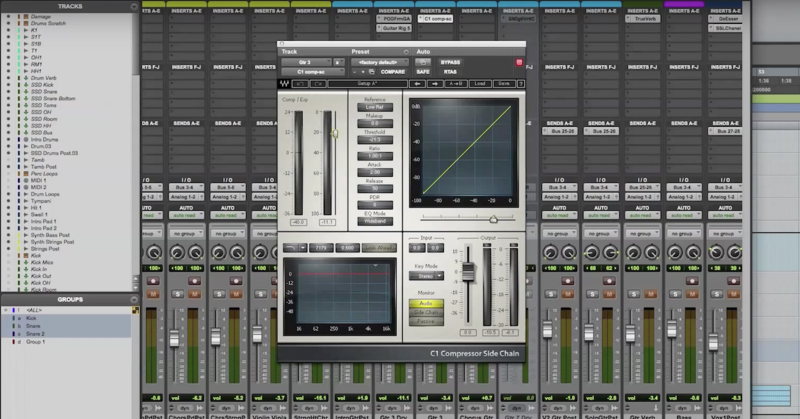 Learn how to use dynamics processing like a pro in Mixing with Compression. 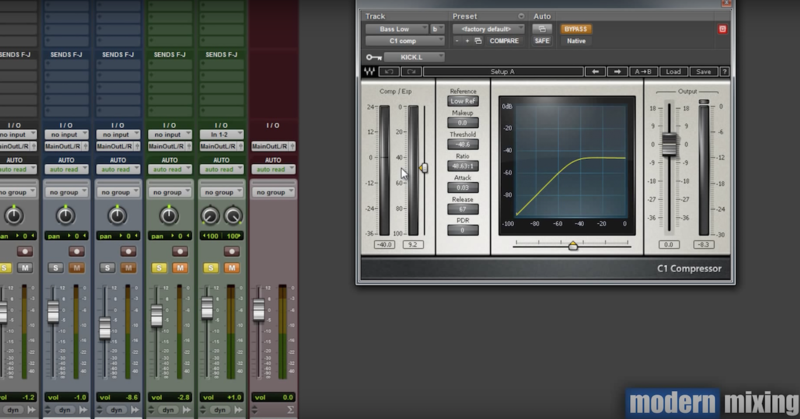 Matthew Weiss teaches you what it is, what it sounds like and how you can use compression to take your mixes to the next level. Check out the video below to learn more. Enter the code TPAF20 to get 20% off.